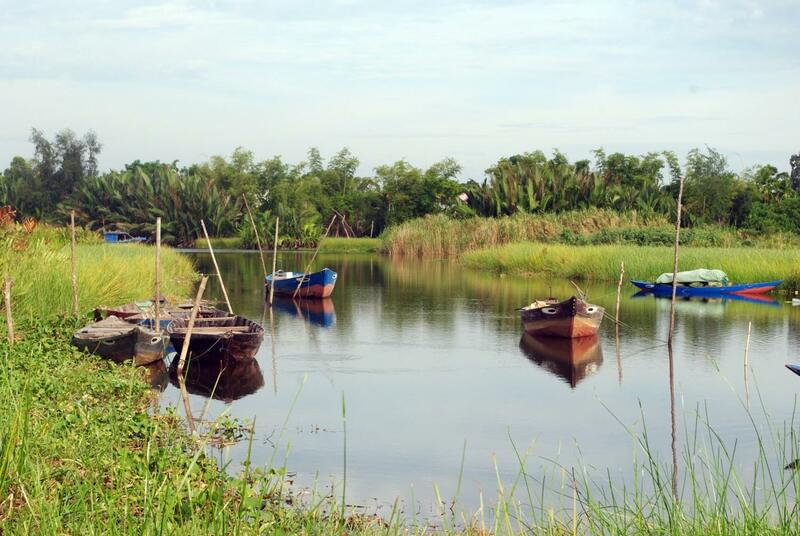 Located on the banks of Thu Bon River, the restaurant is a top choice for people who like beautiful scenery and peaceful atmosphere. Since its opening in 2004, it has built up a reputation by offering a variety of fresh seafood and vegetables such as prawns, crayfish, and lobsters and providing high-quality services. 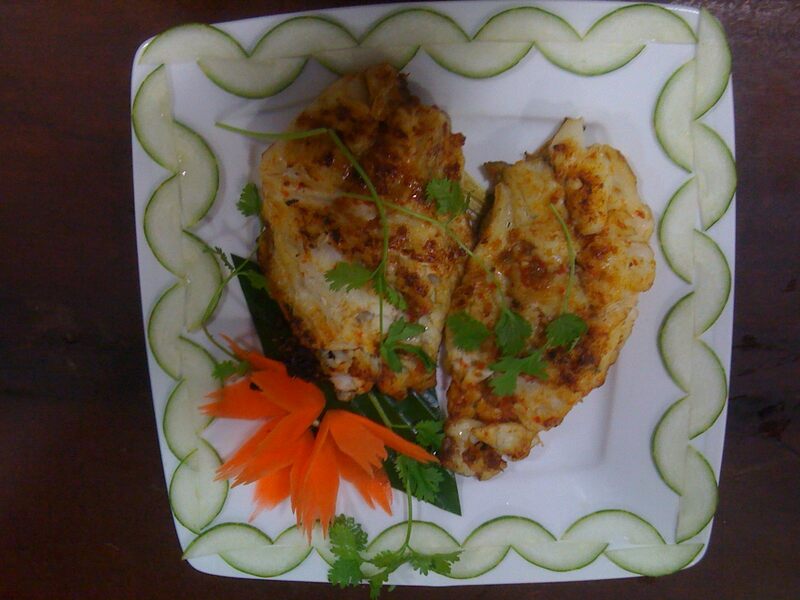 Its experienced chefs select ingredients and cook every dish very carefully. Song Thu is now an ideal place for diners to organize parties and weddings, and for families to spend their weekend dinner together. With a spacious area, a restaurant is a perfect place for family gatherings and friend meetings. It is situated right on the river and away from tourist crowds. 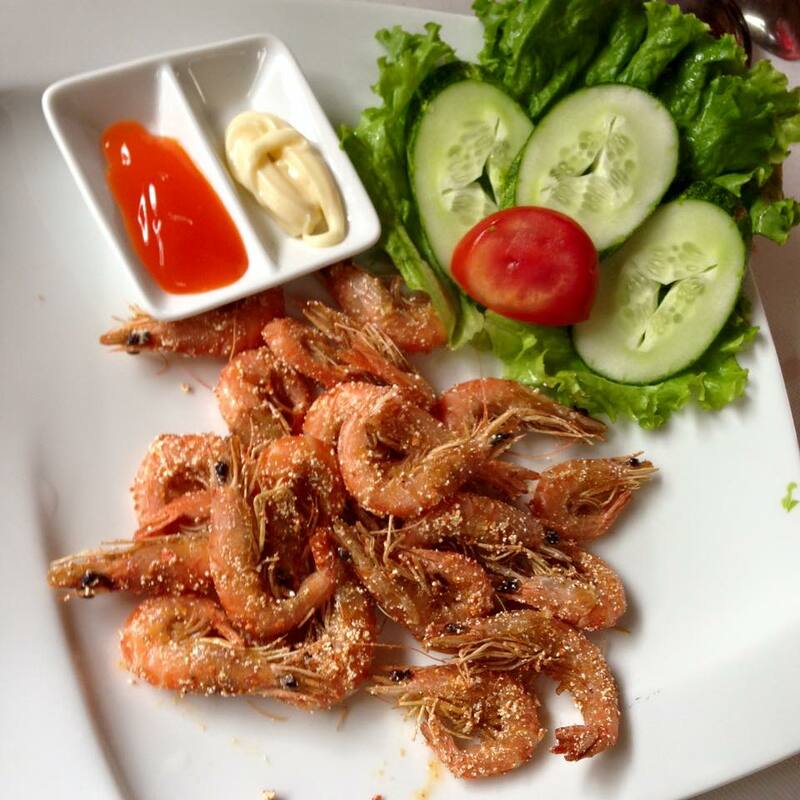 Do not hesitate to sit down on small plastic chair side by side with local people, order its delicious food including fried prawns and hotspot and chit-chat with the inhabitants. You will definitely have another feeling of the old town when enjoying your meal with locals around. 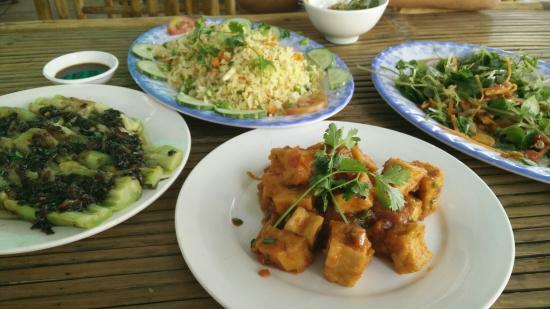 Like other out-of-town eating places, the restaurant offers popular Vietnamese food such as clay pot fish, stir-fried vegetables and stir-fried tender beef with capsicum. The price is cheap and the staff is very friendly. 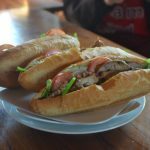 One greater thing is that during your meal at the restaurant, you can have a chance to talk with its owner Hoai Linh and know more about his family, his business, and life in Vietnam. 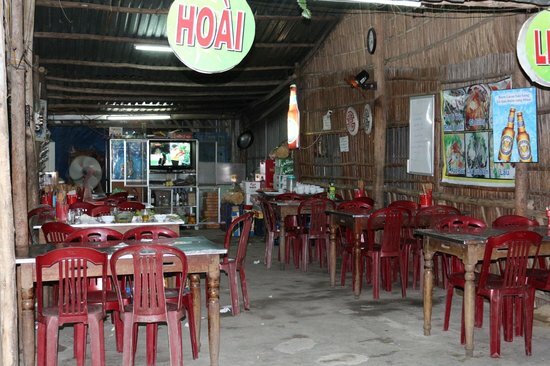 It is quite busy if you come here for dinner, but you will enjoy its local atmosphere. 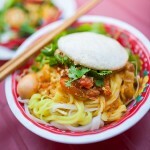 If you want to get out of the bustle of Hoi An, try having a meal at Lua Restaurant. 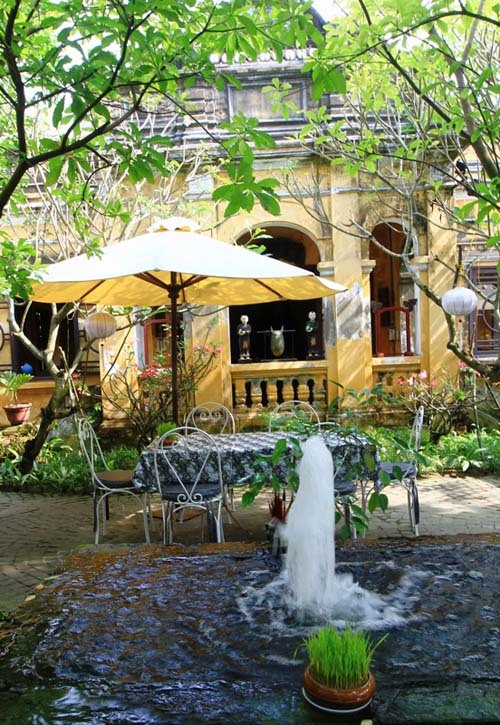 It is located between the old town and the beach in a quiet street and surrounded by paddy fields. 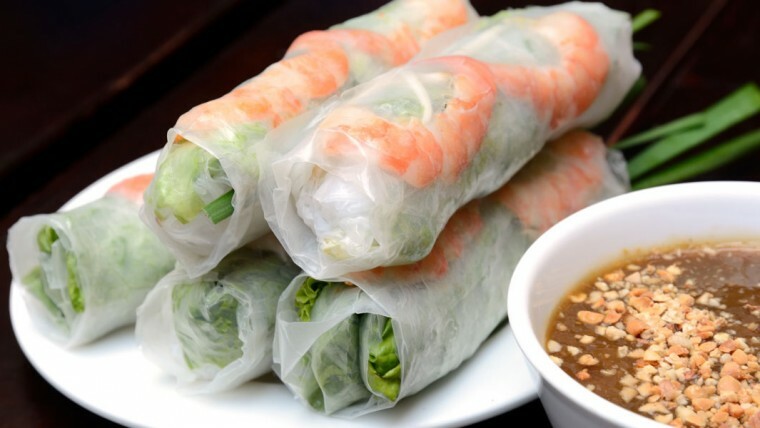 Diners will feel more relaxed and at peace when enjoying Vietnamese food in a cozy indoor dining area. Being away from the noisy area of the town, the restaurant brings diners a relaxing atmosphere with authentic local food. Hoi An specialties at the family-run place is worth trying, especially wonton (hoành thánh), noodles with roasted pork (cao lầu), white rose dumplings (bánh bao and bánh vạc) and rice pancake (bánh xèo). The price is reasonable and the services are great. The place’s large and open dining area can accommodate hundreds of diners and allow them to get close to nature. 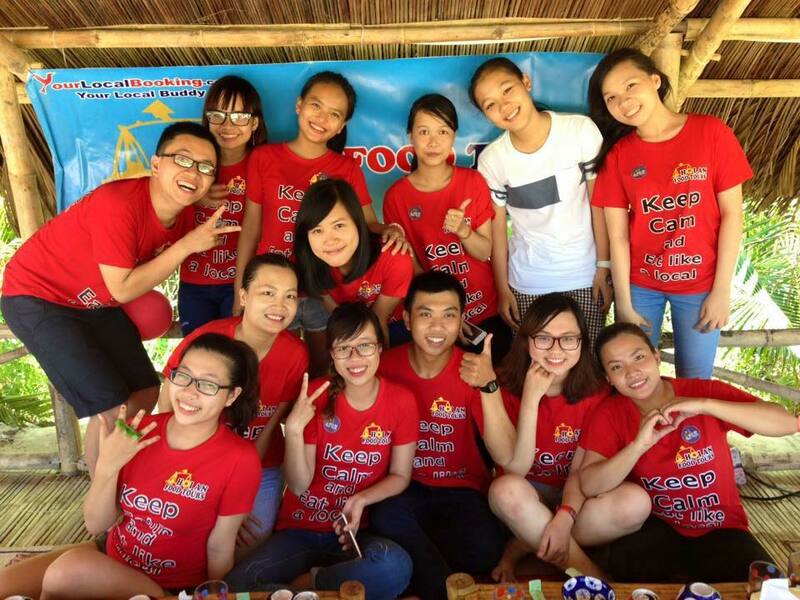 You can also enjoy karaoke here with your friends after dinner. Parking spaces are available. 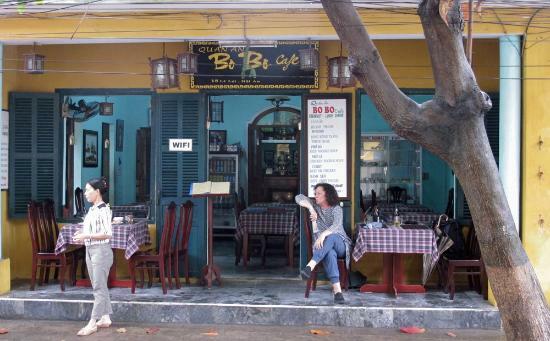 The restaurant is named after its chef, Bốn. 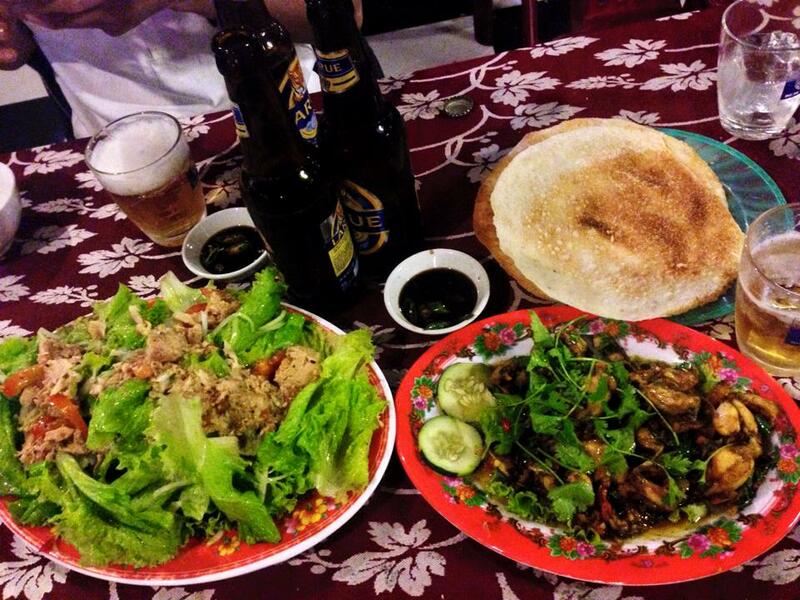 It serves typical dishes from Hoi An such as Quang noodles (mỳ Quảng), chicken rice (cơm gà) and rice pancake (bánh xèo). 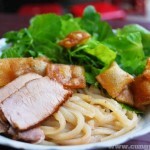 Especially, its noodles with roasted pork (cao lầu) are voted as the best one in the town. 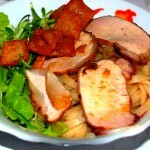 The restaurant is a bit far from the overcrowded town center, but it is worth checking out. 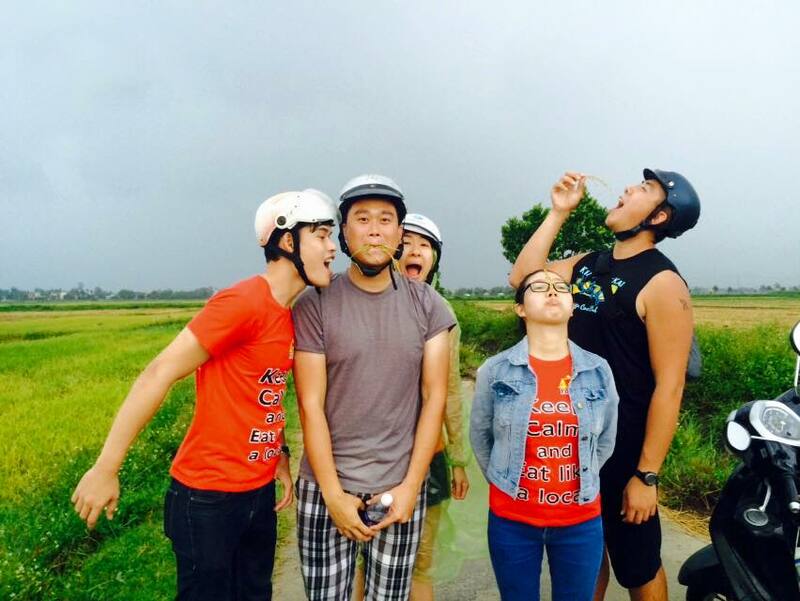 If you want to enjoy local food in the local environment, it is where you should go. The seafood is tasty and fresh, and drinks are delicious. There is a wide range of choices on the menu, including grilled scallops, green papaya salad, stir-fried morning glory, and seafood hotpot. 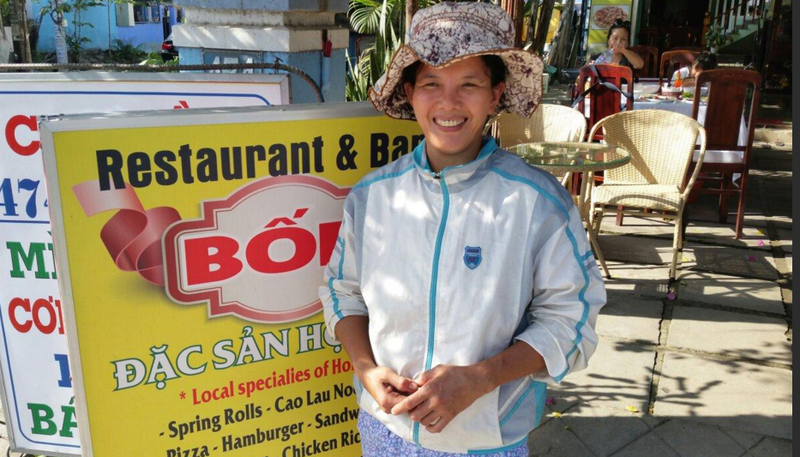 There are two well-known places for selling rice pancake (bánh xèo) in the ancient town: Ba Le Restaurant and Hai Dao Pancake Restaurant. 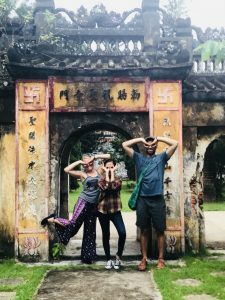 While the former attracts many tourists thanks to its appearance in guide books, the latter is a choice of local people. 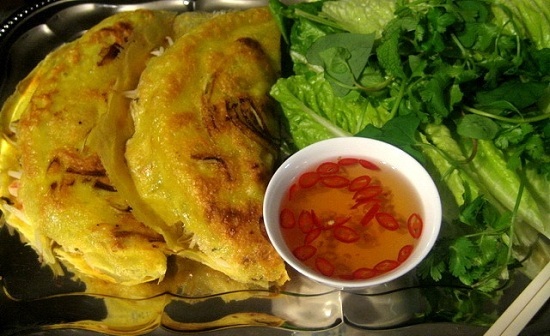 It’s crispy pancakes are filled with shrimps, mushroom, beef and bean sprouts. They are served with vegetables and sweet and sour sauce with chili. Its location is a little far from the town center, so you can relax and enjoy the tranquility after a long day walking or biking around. 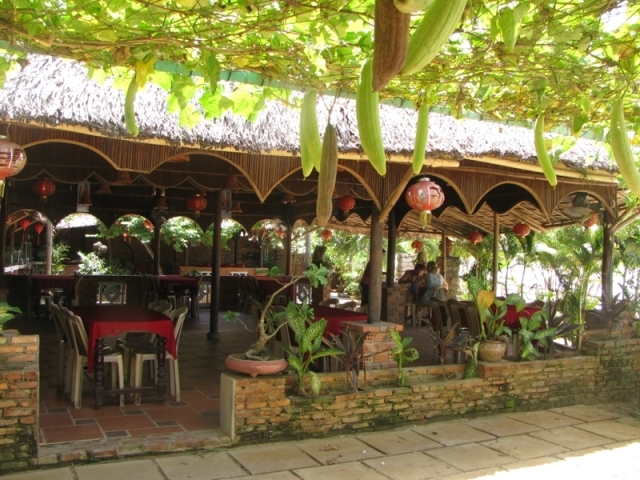 Lush vegetation and lanterns, which light up beautifully at night, set a very enchanting scene at the restaurant. 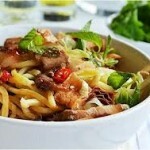 The food and drinks are fresh and the staff is very helpful and friendly. 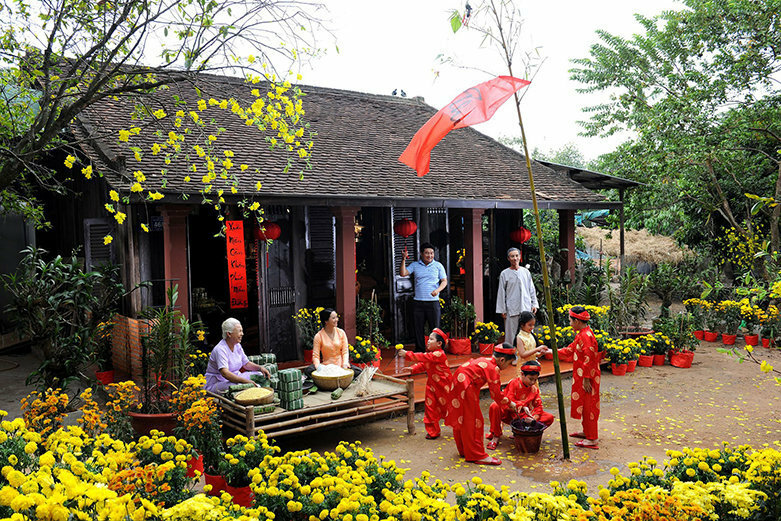 For tourists, one of the good ways to discover a town is enjoying its traditional dishes in a local atmosphere. 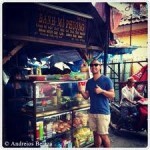 You should try sitting side by side with local diners and taste the typical food. And believe me, your local feeling will take you back to the restaurants.